In case you’ve been under a Rock (as I often am, avoiding news media), you may not have heard about #WaterIsLife. The Standing Rock Sioux Nation is protesting the Dakota Access Pipeline (DAPL). The proposed pipeline was illegally permitted, would endanger the drinking water provided by the Missouri River and disturb sacred sites. As an environmentalist, and a great lover of water, I’m connected with several groups who are actively supporting this action. As an American, I cannot sit and watch Native Americans once again be trampled over, their treaty rights ignored, in the name of profit. At the UN climate talks in Paris last December, I was blessed to be with indigenous peoples from around the world. At an amazing ceremony with people of all colors from every nation, they spoke of an ancient prophecy. Of a time when unprecedented unity is called forth. That time is now. Thousands of peoples have journeyed to North Dakota in support, from every nation. The pipeline project has not been stopped yet. The chill of winter is coming. 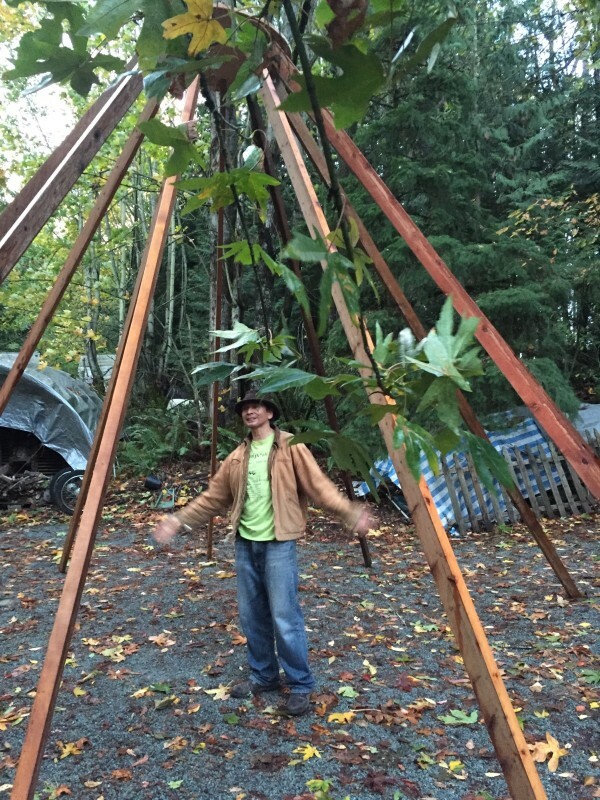 My inspiring friend Paul Cheyok’ten Wagner, of the Saanich First Nations of Vancouver Island, created a project to design and build strong winter tepees. The tepees come with simple woodstoves to provide shelter and warmth for up to 15 of the many people who continue to come to Standing Rock. Check out his GoFundMe site here. Each teepee will cost about $250 in materials. My goal is to raise enough funds for at least one teepee. 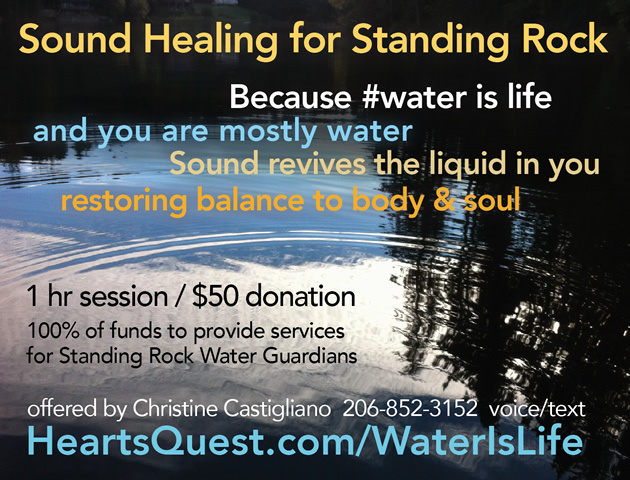 In exchange for a donation to this project, I offer you a Sound Healing session, a powerful experience in which I use vocal sound to ‘read’ your body. Learn more about sound healing sessions here. Each session is 50 minutes. Your donation is $50. I will collect donations and send %100 to Paul’s campaign. Fridays between 3:30 and 5pm. If this time doesn’t work, you are in Seattle or King County let’s find an alternate date/time/place, or SKYPE can work, too. Please contact Christine via voice or text (206-852-3152) to schedule your session.